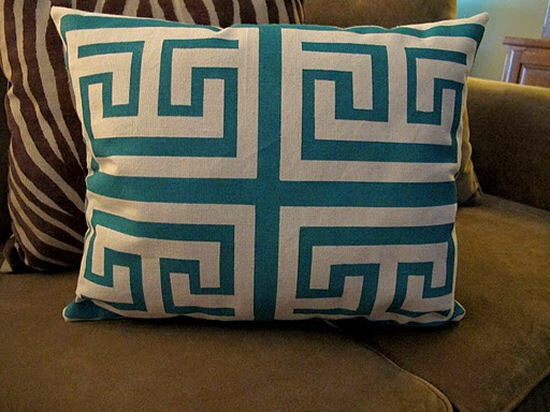 I love a geometric print, but I never would have thought of creating the print myself. 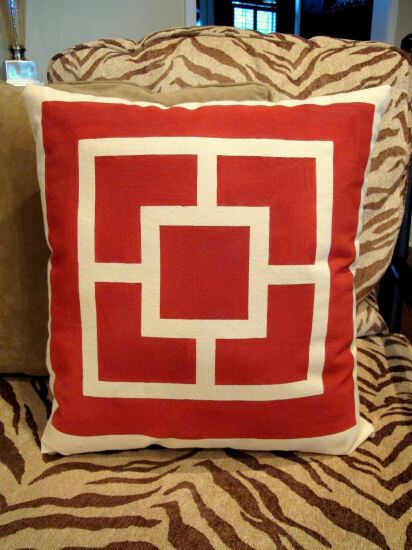 These geometric print pillows from The Creativity Exchange were made with screen print paint and tape. Breakfast Room Chairs:: This Is What I Want!!!! 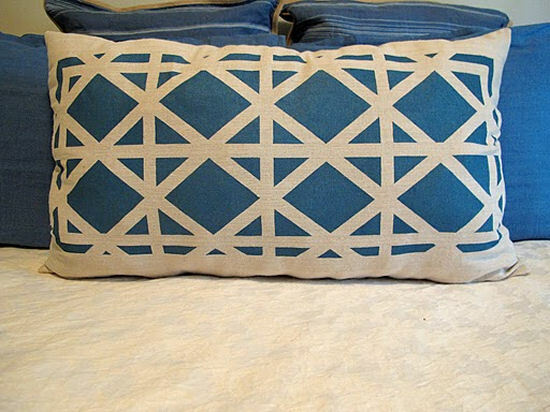 Next Post J & A Family Room:: And We Have Draperies!! love love love this. How easy. Who knew? !